London is not usually associated with romance, but it is nevertheless a popular getaway for couples looking for a romantic weekend or shopping and dinner date. Some excellent five-star hotels cater to couples who want to celebrate an anniversary or another special occasion, or just spend a weekend of spa treatments, shopping and pampering in a luxurious environment. From modern cosmopolitan hotels to traditional British icons in the hospitality industry, here is a look at fifteen excellent romantic hotels in London where you could be spending the next weekend with your loved one. Bulgari Hotel is a quiet oasis on the edge of Hyde Park. The hotel and rooms have been designed with tasteful, contemporary décor and touches of elegance, ideal for couples who want to be surrounded by a luxurious ambience. The hotel has a private spa suite, steam rooms, a relaxing pool, jacuzzi and treatment rooms for the guests to indulge in wellness. This is a hotel where couples check in for a charming romantic getaway in London. Spacious rooms that still feel cosy and intimate, ultra-comfortable beds and luxury bath amenities, attentive staff who take care of all the little things make this a hotel that you wouldn’t want to leave. Expect staff to remember preferences from your previous stays. The hotel also has a lovely ballroom, a cigar shop, and it is minutes’ walk from London shopping such as the Harrod’s department store. 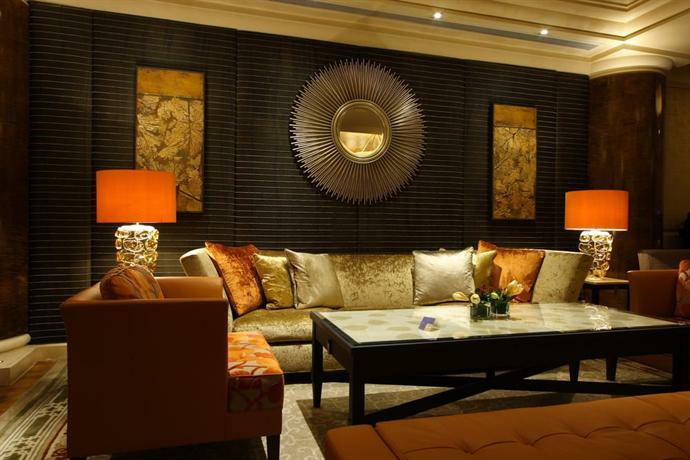 Corinthia Hotel is a luxury hotel with stunning rooms and amenities that will be particularly liked by couples who are celebrating a special occasion such as an anniversary. The hotel has seven penthouse rooms from where you can look down on London – Piccadilly Circus and Oxford Street are within walking distance. Rooms are large and elegant, some bathrooms have waterfall rain showers, and the hotel has an award-winning spa with a thermal floor that has a vitality pool, a swimming pool, steam room, sauna, ice fountain, heated marble lounge and relaxation bays that couples will never want to leave. The hotel also serves a choice breakfast to wake up to, with special bread, fruits and made to order items. If you celebrate a special occasion with your loved one here, the hotel will make special arrangements for cake, chocolates and champagne to make the occasion even more special. 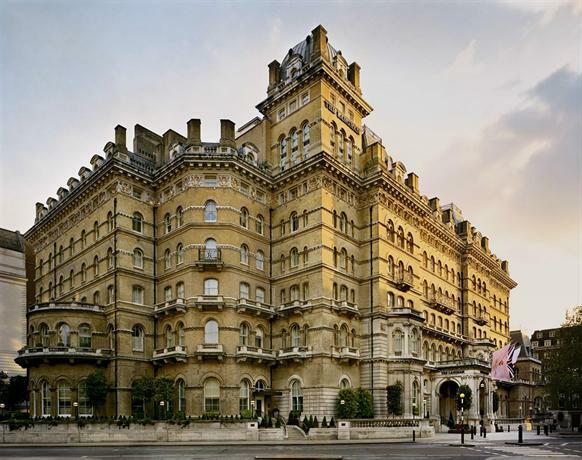 The Savoy is a London landmark, and the hotel is bathed in romance, from the period style rooms to plush furnishings to the winter garden gazebo and stained glass cupola of the Thames Foyer. The rooms are quite spacious and full of character. Couples will love the rooms that offer views of the Thames. You will be welcomed with warm towels on heated towel racks, and excellent soundproofing in the rooms. The bathrooms are fitted with superior plumbing, and the beds are some of the most comfortable among London’s luxury hotels. The staff is professional, classy and cheerful, and guests find the service hard to fault. Overall, the Savoy oozes tradition, opulence and gravitas. It is one of London’s most iconic, offering excellent afternoon teas and excellent breakfasts to indulge you as you wake up. If you take a suite room, you enjoy butler service in the classic British way. Iconic London attractions are nearby. The Ritz London will greet couples with the romantic opulence and splendour of the suites, which are fitted with period furniture and furnishings that will take you back to a Britain of the past. Several signature suites offer special experiences, like the spacious Royal suite that will make your stay fit for a royal couple. The hotel has a Michelin starred restaurant – the Ritz Restaurant – fitted with marble columns, tall windows, and chandeliers that make it one of the most beautiful dining rooms in the world to enjoy a romantic dinner. Many couples like the British tradition of afternoon tea in the open and stylish Palm Court, accompanied with music by the hotel’s resident harpist and pianist. The elegant hotel has a dress code in keeping with its classic décor, so every moment of their stay, guests will be surrounded by beauty. Hotel Cafe Royal has been catering to lovers of beauty like Oscar Wilde, for over 150 years. It is easy to enjoy a romantic stay amid the sumptuous Art Deco décor, with access to amenities like a private butler service, a holistic well-being centre with a Jacuzzi, sauna and Turkish Hammam, as well as spa treatments. The attractions of Piccadilly are just moments away, but the noises fall apart on entering the hotel premises. The rooms and bathrooms are spacious and updated, with furnishings that are a right mix of classic and modern. Soundproof walls, excellent natural and ambient lighting, a choice room service menu, and a lounge bar in the wellness centre where couples can indulge in nourishing and healthy meals to complement a romantic holiday. Expect considerable attention to detail from the hotel staff, and couples celebrating wedding anniversaries and other special occasions there will find memorable experiences waiting for them at the Hotel Cafe Royal. The unimaginatively-named Hotel 41 is indeed a charming hidden gem of a five-star hotel that overlooks the mews at the Buckingham Palace. The site was initially a ballroom attached to the Palace. The hotel has thirty deluxe rooms, and the interiors feature rich, luxurious warm mahogany that will lend an air of classy decadence to your stay. The rooms have beautiful ceiling details, modern fixtures, and the staff extends plenty of attention-to-detail that will make any romantic weekend here memorable. Couples may be welcomed with surprises like welcome notes, champagne and chocolates. The rooms are decorated in a minimalist monochrome style that oozes quality and luxury. Couples will particularly love the Conservatory Suite, which has a glass ceiling opening the view to the sky. Hotel 41 serves a plentiful buffet breakfast, the traditional British afternoon tea, evening cocktails and access to the Library Restaurant. The hotel also indulges you by allowing you to order anything you want for your meals. You can always ‘raid the pantry’ for free snacks whenever you’re hungry at odd times of the day. Covent Garden has some excellent romantic restaurants and bars for a weekend date and staying at the One Aldwych after a night at the theatre, and an intimate dinner will complete the weekend. One Aldwych is located in an Edwardian building outfitted with designs by the world-famous Mary Fox Linton, who creates sleek and luxurious décor. The rooms are designed with minimalist palettes and fitted with understated elements of luxury. Couples will love the Terrace Suite with its private terrace and private gym, and the luxurious Dome Suite with its private dining room. There are Guests have access to a steam room, a sauna and an 18-meter swimming pool at The Health Club, which also features underwater music. There are three treatment rooms for wellness treatments that couples can enjoy together for relaxation. Breakfast menus, cocktail bars and in-restaurant dining have all been highly praised. The Milestone Hotel is a luxury boutique hotel full of old-world charm, from its beautiful, historic exterior that melds perfectly with its Kensington location, to the staff that goes out of its way to make your stay comfortable. For couples celebrating a special occasion, staff will prepare special surprises that will make the stay memorable. The rooms are tastefully decorated with rich textures, palettes and furnishings. The rooms are intimate, and each one is designed with a unique and quintessentially British flavour. You can enjoy views over the peaceful Kensington Gardens and walk down in the evenings for a performance at the Royal Albert Hall. Couples will enjoy relaxing in the resistance pool and the spa, as well as the complimentary treats that the hotel staff leaves in the rooms each day. The Stables Bar and the Cheneston Restaurant offer excellent wining and dining options when you’ve already exhausted the possibilities in Kensington and Chelsea. 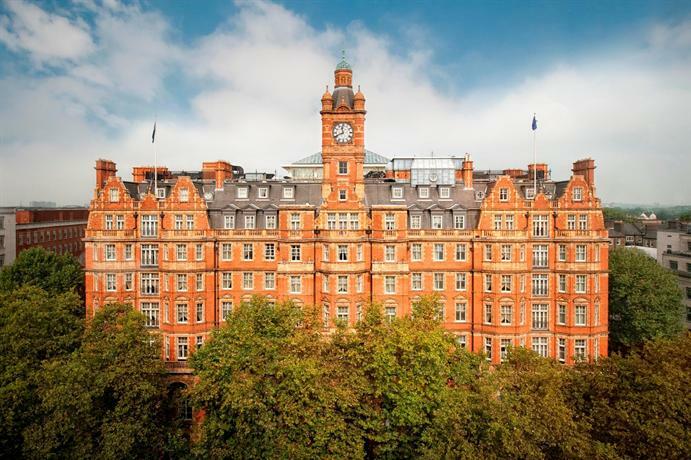 The Langham, London stands out among grand, traditional luxury hotels in London for its sheer size – it has nearly 400 rooms. But this doesn’t mean it’s not suitable for couples looking for an intimate, romantic getaway in London. 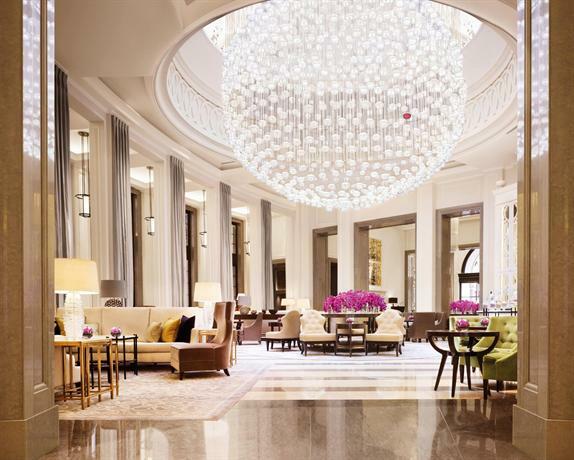 The Langham is elegant, classy, classic yet modern, and unpretentious. The rooms and private suites are fitted with minimalist but luxurious furnishings. The Portland Suite, Terrace Suite, Sterling Suite and Infinity Suites are unique rooms that will make any stay on a special romantic occasion memorable for guests. The staff at The Langham is attentive and friendly, helpful and professional. The spa and leisure facilities offer some pampering and rejuvenating treatments for the body and the soul. 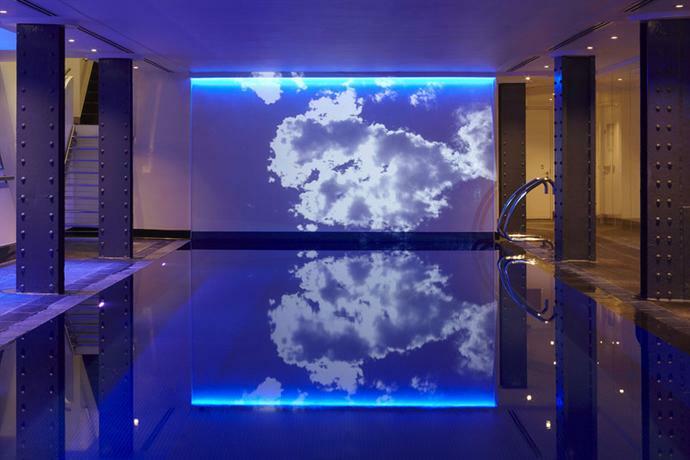 The fitness centre and 16- meter swimming pool offers plenty of options to stay fit and fabulous for a romantic getaway in London. 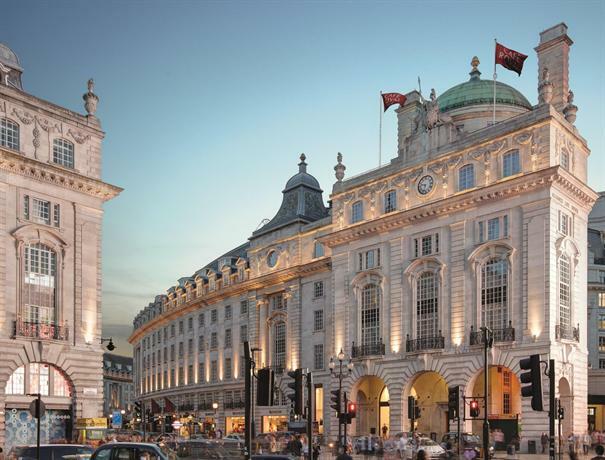 It is easy to hop out for a West End show in the evening or some shopping on Regent Street. 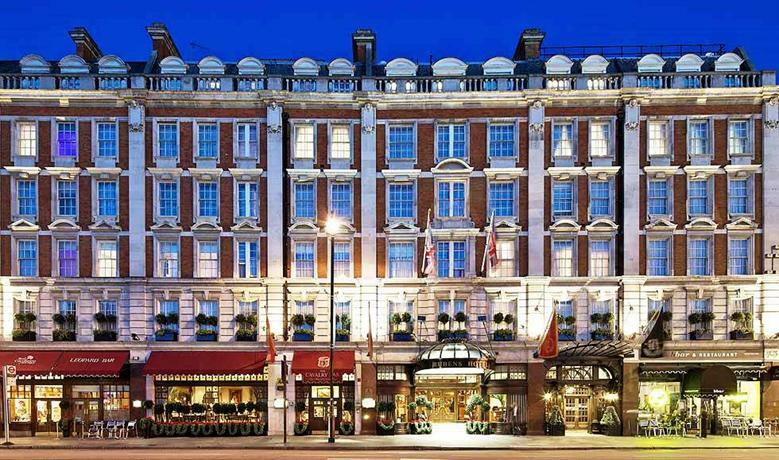 The Landmark Hotel in Marylebone is a great historic hotel that was once frequented by passengers on the London railway. The hotel now has more than 300 rooms that are always nearly full. Couples, however, don’t have to fear impersonal service and sub-par attention to detail. The hotel features a beautiful glass-roofed Winter Garden with palm trees. Many of the rooms – of which 51 are suites – look out into the Winter Garden. All are decorated with traditional plush British décor. The service is professional and friendly. The open-plan spa features a pool, sauna, hot tub and steam room. An on-site salon and gym will give couples everything they need to feel and look beautiful. 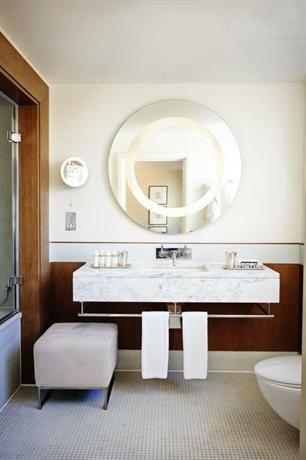 Bathrooms are fitted with luxurious marble. Dining is mostly in the Winter Garden, and there are innovative twists on classic English fare. Couples who want to explore Madam Tussaud’s, shop for antiques, browse galleries, boutiques and cafes will find The Landmark is ideally situated. 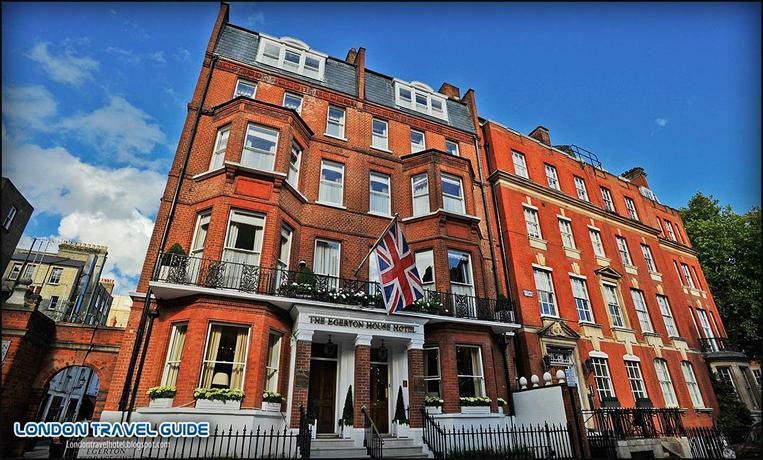 The charming boutique Egerton House Hotel in the heart of Knightsbridge is small and intimate. The hotel and rooms have a strong character, with each of the hotel’s 28 rooms decorated in unique Art Deco styles, antique furniture and marble bathrooms. Mattresses are hand-stitched, bathrobes and toiletries are a luxury, and guests are greeted with champagne, fresh flowers and fruit, and plenty of attention and personalised service. Rooms look out over quiet gardens, and the staff makes the hotel like a home away from home with its attention to details. The hotel is well known for the warm and genuine service that the staff provides, and couples will get any help they need, such as with booking last minute tickets to a West End show for example. The rooms are soundproof. The traditional afternoon tea is a favourite with couples. Egerton House Hotel is a romantic yet homely getaway for couples in London. 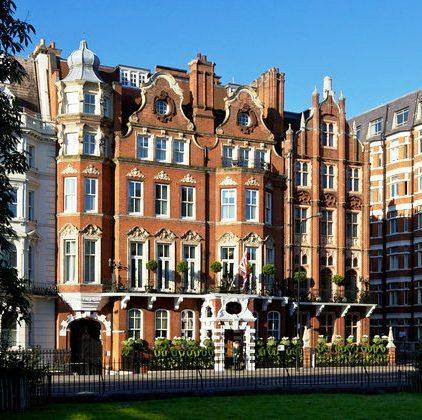 Brown’s Hotel is an old five-star hotel in Mayfair, so the rooms don’t have views. But for couples who are looking to spend a few nights in this part of London in traditional Victorian surroundings will find Brown’s Hotel offers beautiful, sophisticated rooms with modern features. Each of the hotel’s rooms is decorated individually. There are several restaurants and bars, including the Brown’s English Tea Room, The Donovan Bar, the La Carte restaurant, as well as private dining rooms. The décor of the hotel is accentuated by wood panels that lend warmth and original artwork by Bridge Riley, Tracey Emin and Terence Donovan that gives elegance. The bar serves thirty champagnes and wines, and more than sixty cocktails. The hotel is a short walk away from theatres, luxury shopping, art galleries and other attractions of central London that are popular with couples. 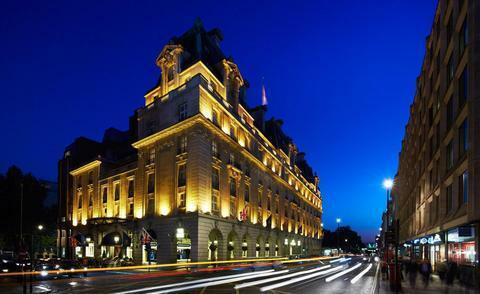 Jumeirah Carlton Tower has been hosting guests in Knightsbridge for more than fifty years. 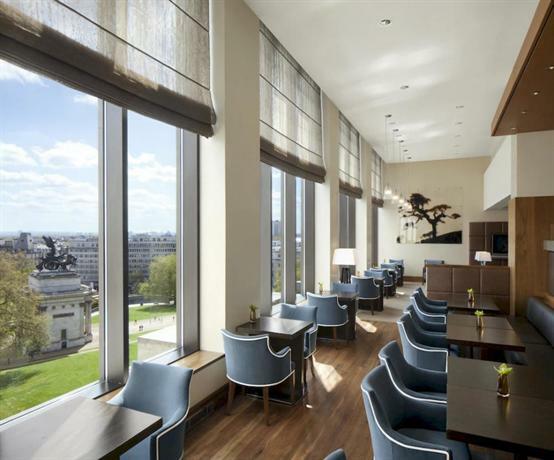 The five-star hotel has more than 200 rooms and 58 suites, many of which offer stunning views of London. The Royal Suite, in particular, is a popular choice for couples for its luxurious minimalist décor by the designer Khuan Chew. Many of the rooms offer beautiful views of manicured lawns and gardens of this part of London. Hyde Park is a short walk away from the hotel, as are the luxury boutiques in Sloane Street. The Harrods department store is also nearby. After a day of shopping, couples can relax in the 20-meter organic indoor pool at The Peak Health Club and Spa, or enjoy a relaxing spa treatment, before retiring to one of the elegant bars that the hotel is home to. Couples looking for a romantic getaway in London will find the Mayfair hotel of the Montcalm London Marble Arch perfect for their needs. 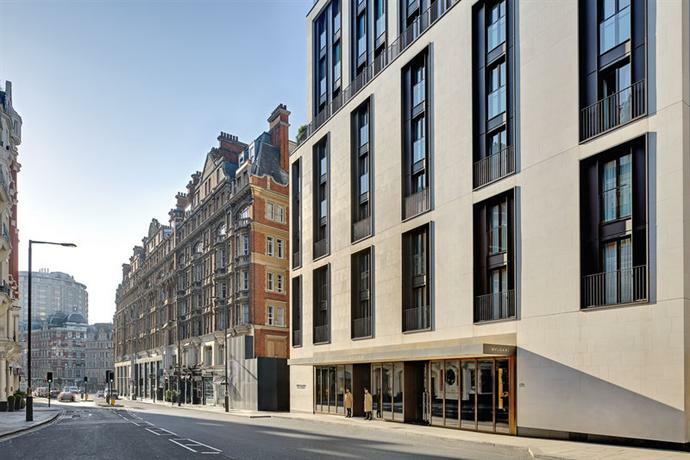 The hotel is located close to Oxford Street, Mayfair, Regent Street, Marylebone and Hyde Park, locations that offer shopping, sights, theatre and plenty of other attractions. Rooms and suites at the contemporary hotel have sophisticated, modern décor and the staff takes special care to add romantic touches such as flower bouquets and kissing swan-towels to surprise couples who stay there. Service is professional and friendly, with considerable attention to detail. The spa offers relaxing treatments and massages that are highly praised by patrons. The hotel is ideal for wedding anniversaries and other special occasions to celebrate with your loved one. This sophisticated modern hotel has minimalist contemporary décor, rooms that are larger than typical London hotel rooms and impeccably clean rooms. While most famous as a business hotel, the Intercontinental is also popular with couples because of its charming suites and luxurious spa treatments. Theo Randall’s restaurant offers excellent Italian cuisine for a romantic dinner. Afternoon tea is quintessentially British and sumptuous. 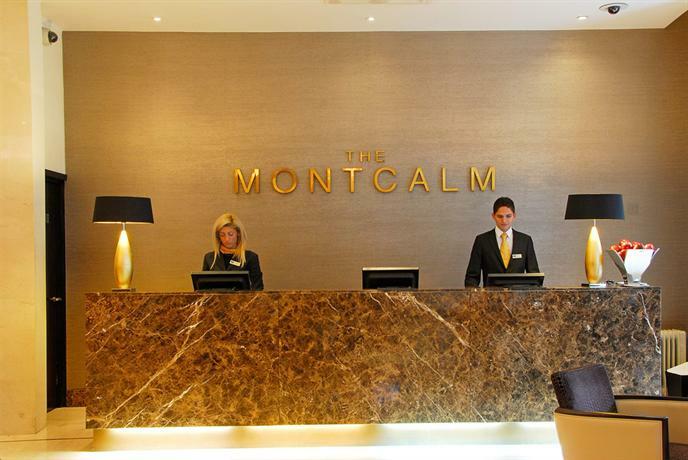 The hotel concierge is professional, knowledgeable and provides personalised attention. Rooms and suites are designed with plush modern luxury furnishings and comfortable beds and sofas for a memorable weekend with your partner.